A 13.8 Billion Year Journey. What Comes Next? If we’re really honest with ourselves we can see that the majority of our lives are spent in search of something. We feel a need for something other than what we already have or have known. Something more fulfilling, something that will quench our deepest desires, heal our wounds, make things “right” and fill what seems to be an endless pit of longing. But, what are we looking for and what is the driving force behind the search? Where does this invisible urge to discover more, be more, feel more, know more come from? And when it comes down to it, can we be more than what we already are right now? Some say, we need to let go of these desires. Some say to work harder to achieve them. Yet, others implore us to suppress them and settle for something less ambitious and more conventional or rational. Is it possible that the answer has been sitting right under our noses this entire time? Recently, I watched Rob Bell’s incredible Everything is Spiritual tour. It deeply inspired me and I knew immediately that I wanted to share the inspiration I had received with my reader’s. It expanded my perception and I hope it will do the same for you. What is our natural state of being? 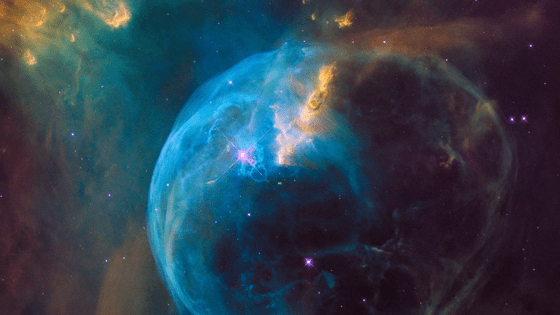 If we look at the Universe, we see an incredible pattern that emerges in the very core of life and it may hold some key clues into the natural flow of things for our own lives. Yet, if we observe the evolution of this baffling movement and growth of energy, we find that there’s a pattern of effortless and inevitable expansion that is at the core of everything. After billions of years these particles joined with other particles to create something new called the atom. A few more billion years later and the atoms decided to join up to create the molecule. The molecules then gathered together to create the cell. These cells after a journey of about 13.8 billion years assembled in unity together to create all that we know to be in us as humans and in the environment in which we live. The key word here is unity. Each transition came about by coming together with other substances that were alike in nature. Yet, when they came together they didn’t just create more of what they were, they created something entirely new without losing their original essence! So this brings up a most intriguing question. What gets created next? We feel a great need for expansion, yet we cannot expand alone or on our own terms. We must come together. Also, we feel an intense desire to be loved, to connect, to be understood and to belong. Could it be that these forces are at work within us to bring about an unprecedented unity that connects us all so that the natural flow of the Universe can fulfill another chapter of something we’ve never seen before!? We’re being called to allow transformation to happen in our lives. In order to come together in unity we’re asked to let go of our judgments and that which divides us. We cannot continue to separate and limit ourselves to the endless battle of who’s wrong and who’s right. We are all One. It’s the deepest longing of our soul to know and be known. If we want to continue moving with the flow of the inevitably expanding Universe, we must allow ourselves to align with the development of unity in our hearts, in our communities and in our world. We are evolving. There’s no mistake in that. Either we can ride the wave and enjoy the journey or we can resist it, but the metamorphosis is guaranteed. The very core of our beings is moving towards something greater with unity at the wheel. Could it be that the invisible force of love (unity) is propelling us forward into understanding our own origin, the force that drives everything? We’re on a divine journey returning to love. Our mortal mentality is being transformed into the eternal perspective that inhabits and navigates all things. Will you choose to flow effortlessly with the instincts of every atom in your being or will you try to swim upstream in this river of life? Only the spirit of true unconditional love can dissolve the disease of separation, fear, shame, guilt and hate. Let’s join together and live in a way that brings us together. The way of Unity, Love and Bliss. ARE YOU READY TO STEP INTO YOUR INFINITE HEALING POWER, RELEASE YEARS OF FEAR-BASED CONDITIONING AND ACTIVATE YOUR INNER GUIDANCE LIKE NEVER BEFORE? It's time to say Yes! 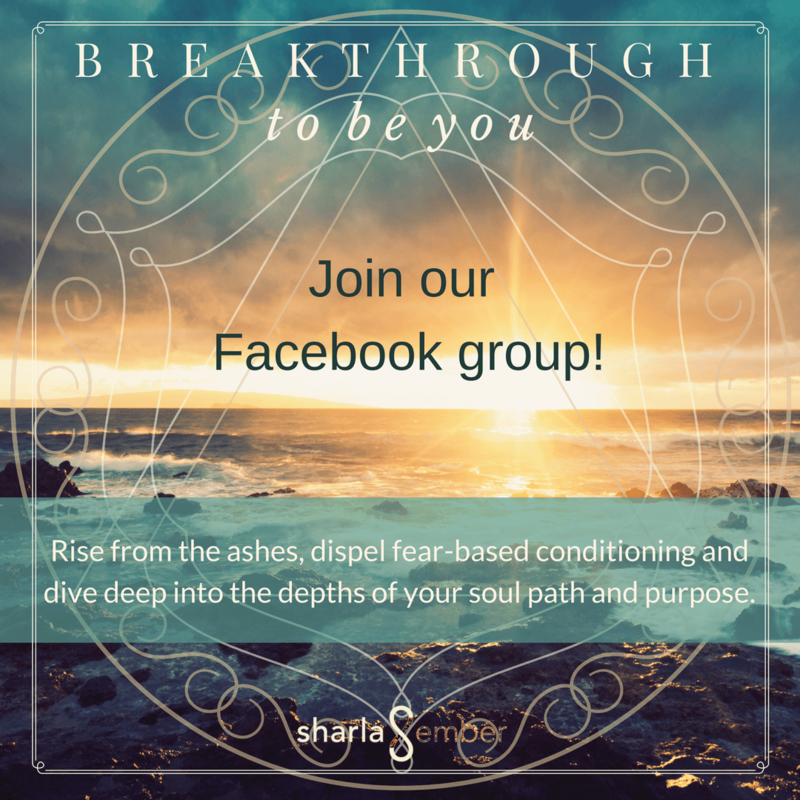 Join the Breakthrough To Be You Membership and enjoy our growing spiritual community, downloads of all of Sharla's music, discounts on workshops and events and more!